Honda is launching a video on social media in honor of Distracted Driving Awareness Month that urges drivers to keep their eyes on the road and their hands on the wheel. “The Designated Texter” is a rap parody-style video that aims to remind drivers of the importance of driving undistracted. It was created by Honda agency of record RPA. The campaign features two 60-second and one 30-second version of the spot starring “The DT,” the person a driver trusts with his or her phone while behind the wheel. The video will be accompanied by a variety of gifs and memes. 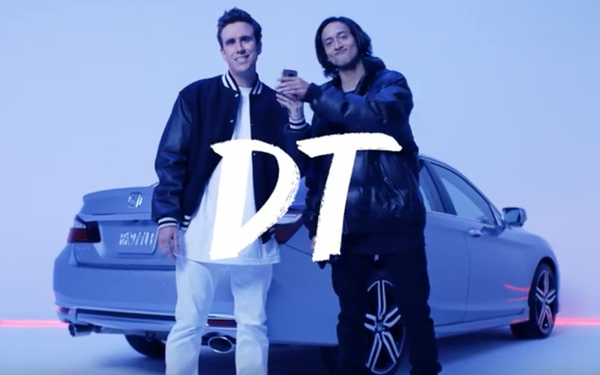 The lyrically savvy, comedic “banger” of a video takes inspiration from classic and parody rap videos, bringing the concept of “The DT” to life. Taking a cue from pop culture, Honda coined the term “DT,” hoping it will encourage sharing amongst the target audience. The campaign explains the benefits of how a Designated Texter enables safer driving and requires “Mad Responsibility" when getting behind the wheel. In addition, “The DT” can be helpful with other potential driver distractions, such as taking photos while the vehicle is in motion. The campaign will be shared and promoted through the month on April on Honda’s social media channels, including Instagram, Facebook, Twitter and YouTube. “Honda believes it’s critically important we continue to educate consumers about safer driving habits, especially with so many young drivers with cell phones behind the wheel,” said Ernie Kelsey, senior manager of regional, social and experiential marketing at Honda, in a release. “Distracted driving is a serious issue, but we hope with this “DT” campaign we’ll get the attention of young drivers to address one portion of the issue … and make it cooler to hand over your phone to your passenger than to attempt to text or take photos themselves."